The Iceberg Lounge stage set is the site of our introduction to the nefarious Oswald Chesterfield Cobblepot AKA "The Penguin"... deadly arch nemesis of The Batman! 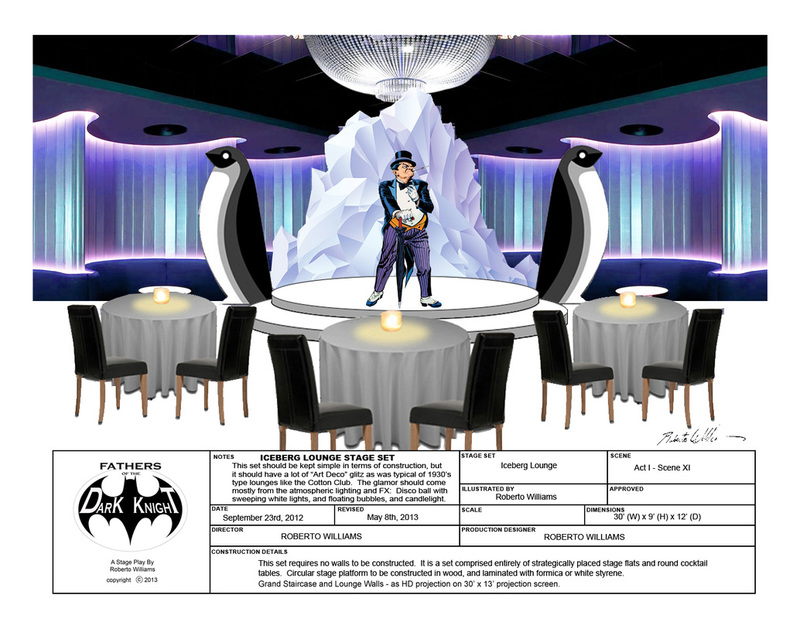 As one of the show's simpler stage sets, this design nevertheless is meant to communicate the elegance, decadence, and guilty pleasures of Gotham's high-society nightlife. With it's art-deco styled circular stage, sparkle lighting, large, decorative penguin and iceberg flats, and candlelit cocktail tables, the illusion of a grand 1930's-styled exclusive lounge nightclub will be complete!